Hello! I’m Haruyo from JTB Sports Station. 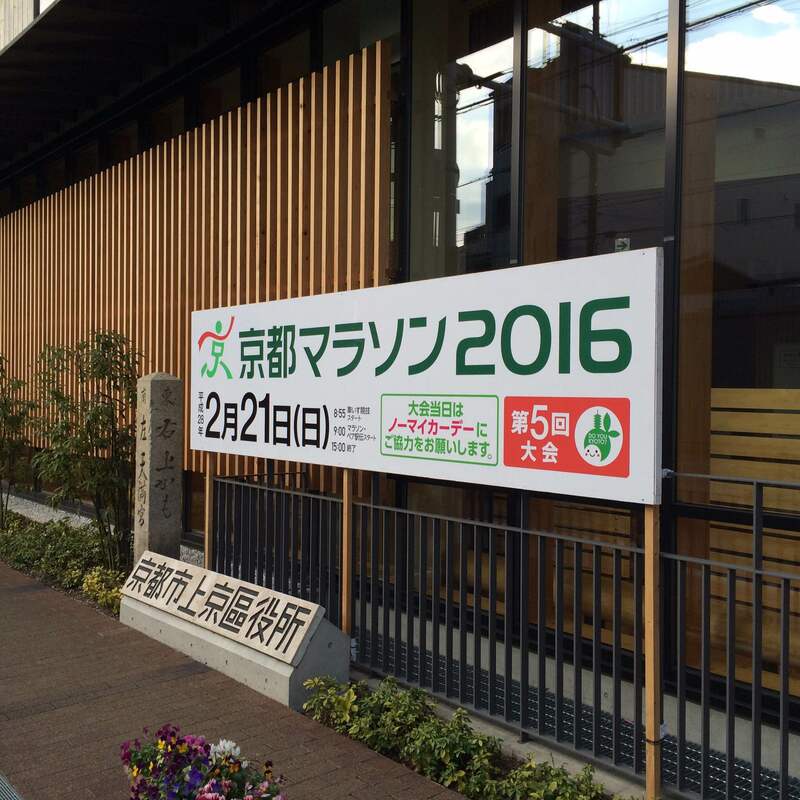 Kyoto Marathon is getting ready and excited now! 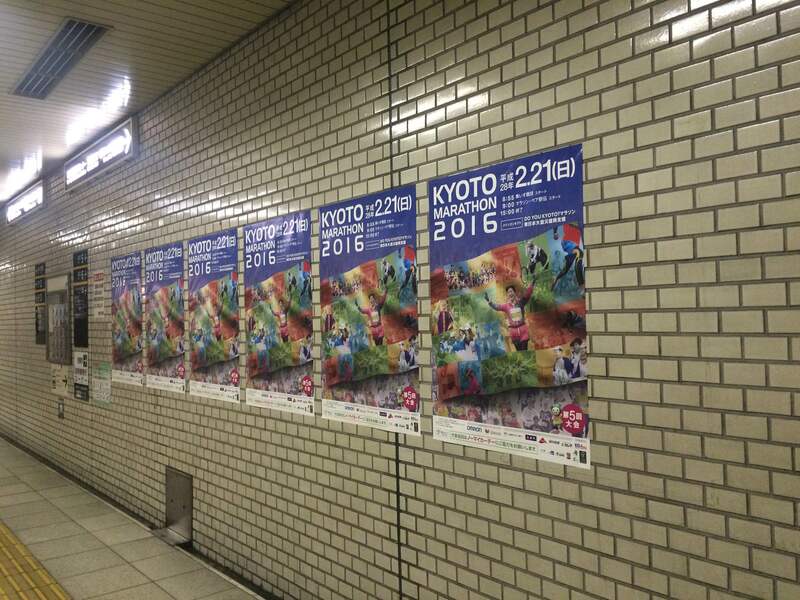 I’m a residents of Kyoto and I see Kyoto Marathon posters and signs everywhere in Kyoto. Today, I want to introduce the good souvenir for Kyoto Marathon. 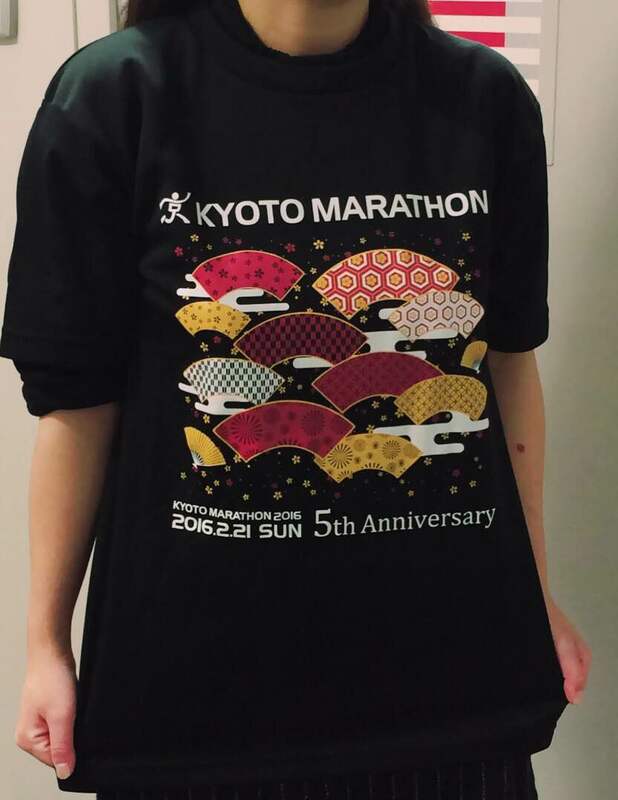 We sell Kyoto Marathon official T-shirts again!!! it is the only who can get in Kyoto on Feb. 19th and 20th. One of the ♥pretty girls♥ at our station are wearing M size, so I guess S size is enough big for ladies. If you interested in? Let’s check it out!! !